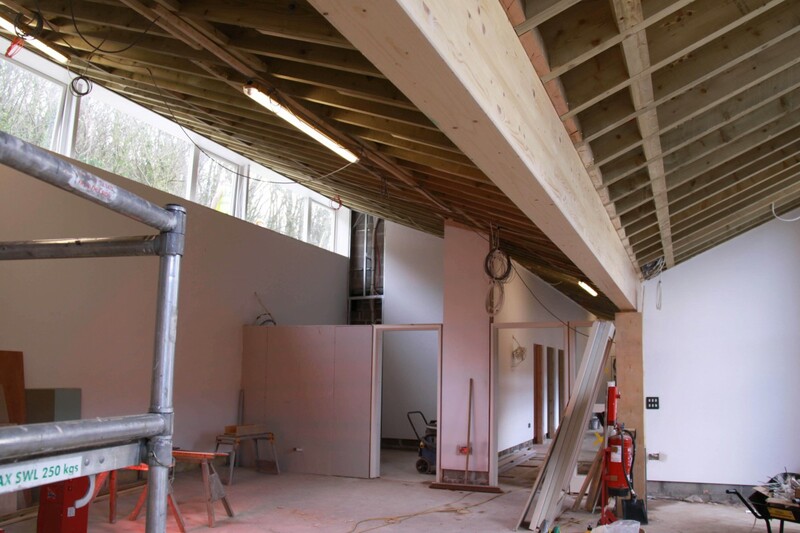 The new archive and Clore Learning Space is evolving at a rapid pace, and a recent site tour on a cold but bright day revealed the light and airy nature of the new space. 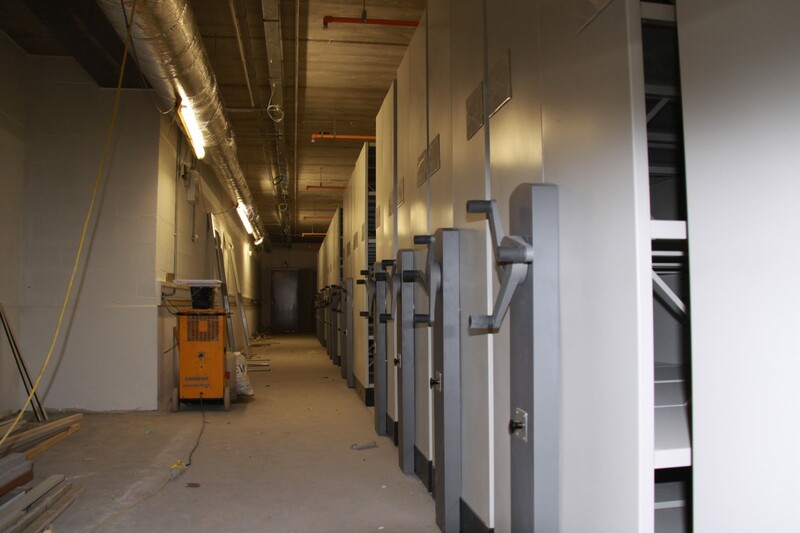 With rows and rows of roller racking now in place, the archive appears hungry for the many thousands of documents, photographs and objects that will soon be at home here. 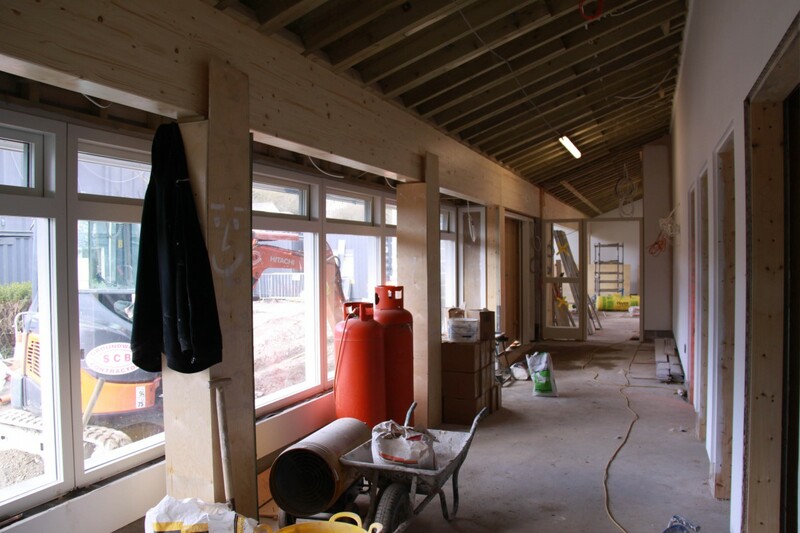 With around 27 trades people currently on site, the building is already buzzing with activity and museum staff and volunteers can begin to get a sense of how the building will perform for visiting schools, community groups and researchers. A behind-the-scenes event is currently being planned to coincide with national Heritage Open Weekend in September. Details of that event will appear on this blog as soon as they are available. Looking back towards the main museum building, Eastern House. Photographed 14 March 2013. Our Collections Team has been working for several months to prepare thousands of documents, photographs and objects for relocation. This space will be handed over to them in the coming months. The search room is where visiting family historians and academic researchers will be able to access archive documents. The space is also expected to be used frequently by the Local History Group. This linking area connects the search room and archive facilities to the Clore Learning Space. With one side of the building tucked into the landscape, the glass front makes the most of Porthcurno’s beautiful natural light. 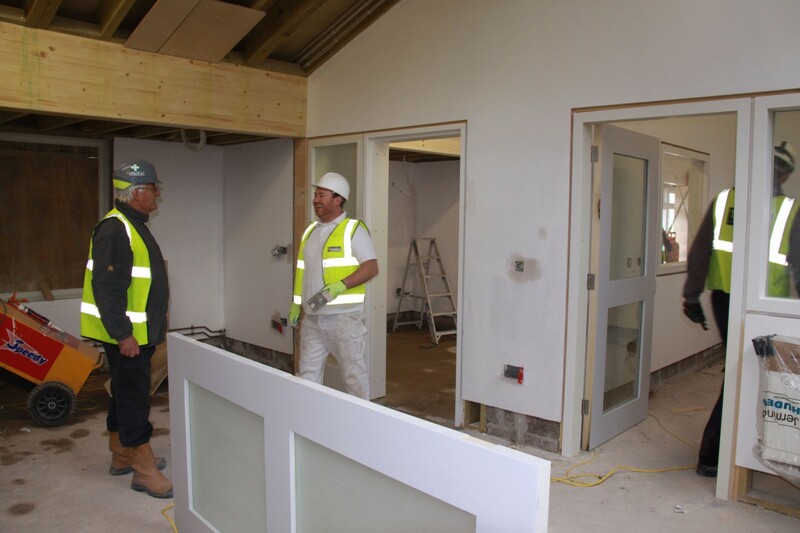 The flexible new learning space is filled with natural light, thanks to windows on both sides. The beautiful, heavy wooden beams of the distinctive V-shaped roof add warmth. Stood outside the existing archive in Eastern House, looking down towards the new building. 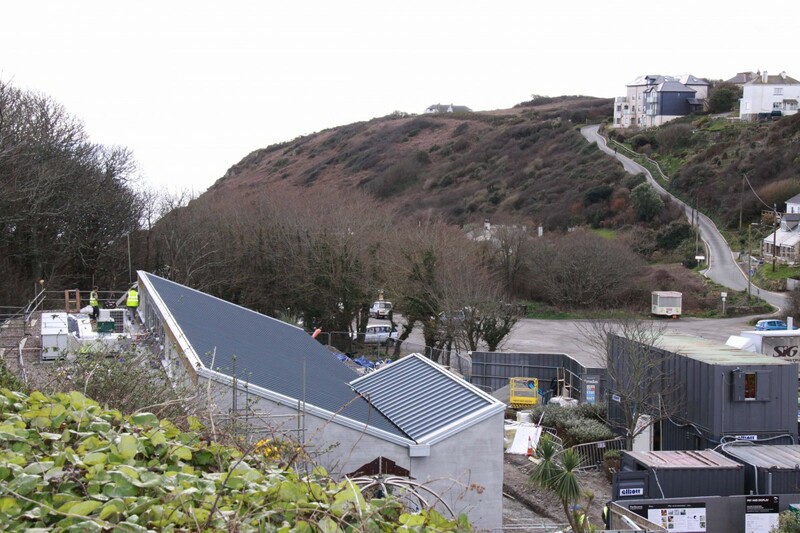 The distinctive roof design echoes the natural landscape of Porthcurno valley.